Sometimes, we want to integrate some cultural elements into our homes. This way, we are able to bring some aspect of the family’s history into the interior. Who said that this isn’t possible? We have seen many homes that are designed this way. When done in this manner, the house looks even more personalized and the guests can feel that they aren’t just welcomed into a house but they are also given a glimpse of who the family really is. Amazing, right? You can do that too! Simply adding photographs of your family and some decors that have value to you can already contribute to this homey feeling. But there are also other ways to do that. You can actually bring in cultural decors and wall arts just like what we can see in Apartment MICF which we will feature today. Unique feature: A large apartment with Brazilian decors in it while giving it a warm modern aura. 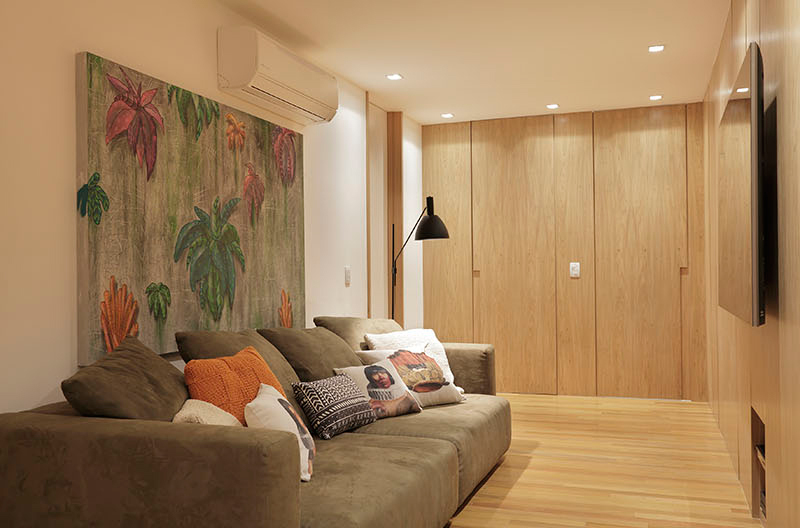 The interior design of this apartment in Rio de Janeiro is designed by PBK Arquitetura. It is intended for a family with a large living room. The interior features plenty of wood accents. 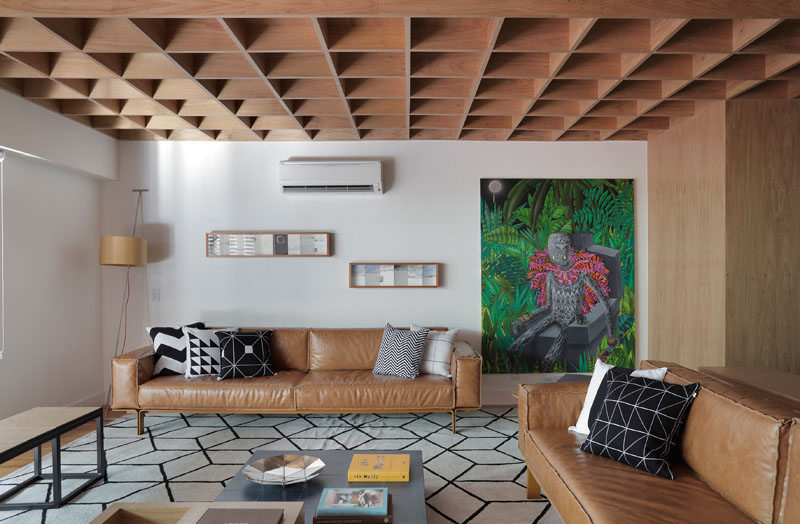 What you can see here is the living area with two light brown leather couches and a wood box ceiling. 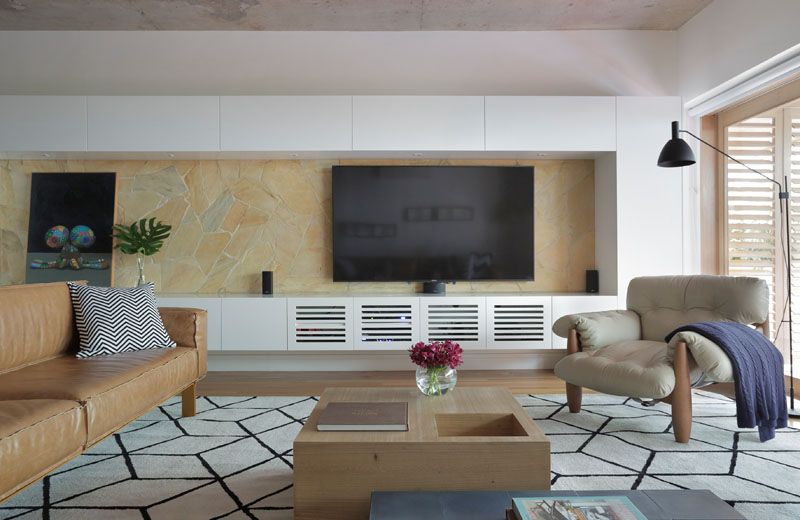 Custom white cabinetry runs the length of this wall which is covered with stone. It also acts as an entertainment unit. Behind the living room is the dining area with many wooden elements in it. 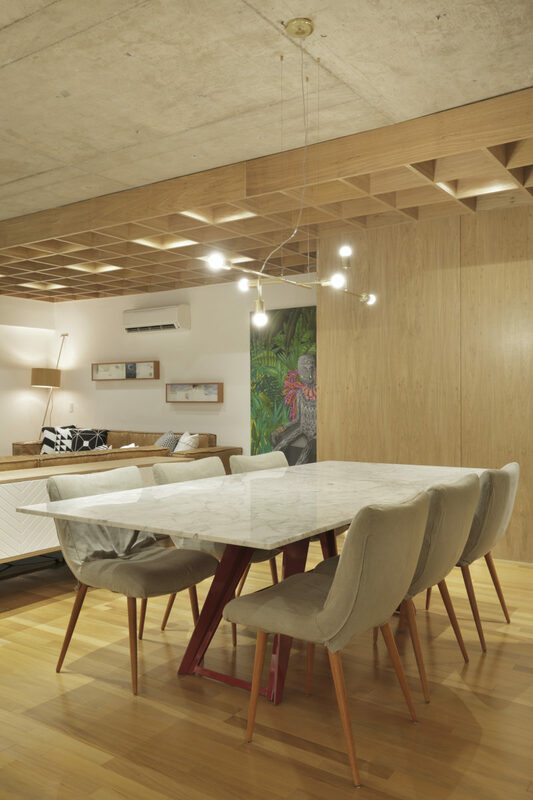 It features a minimalist chandelier that hangs above a white dining table with natural colored chairs. 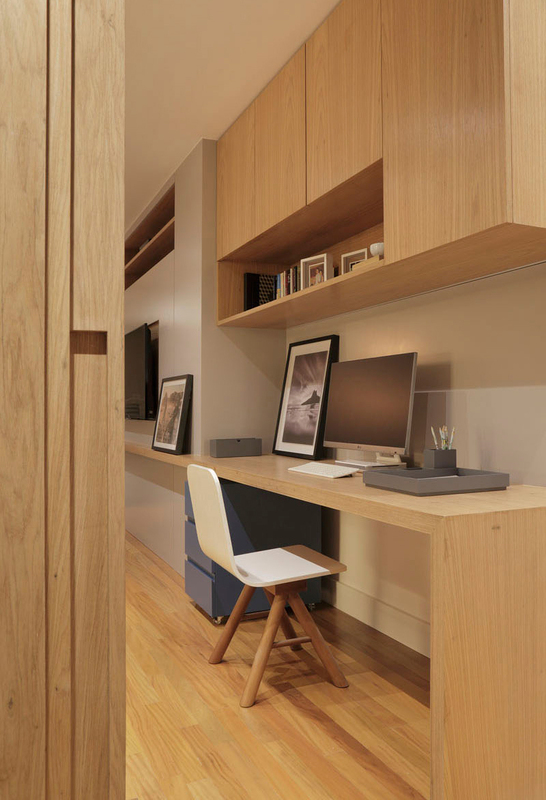 Seen here is the home office with a design and cabinets made from wood. This might not be spacious but this is enough to perform some work. 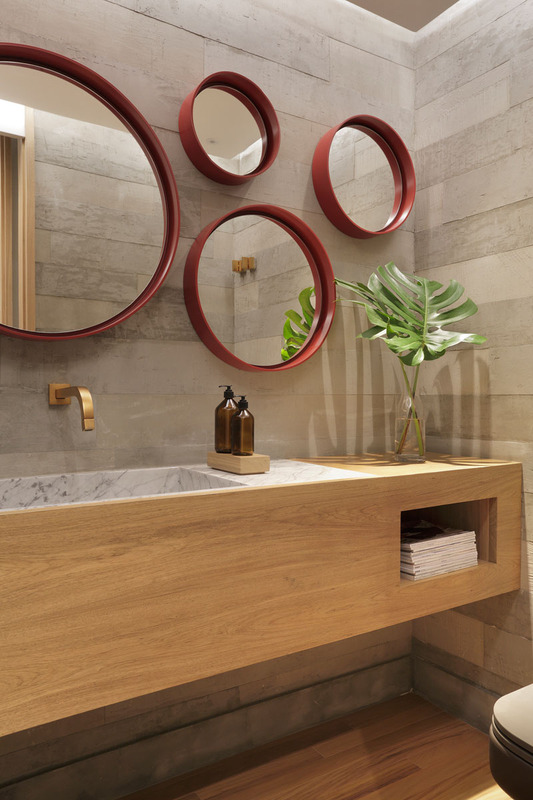 The interiors feature a mixture of warm materials like natural wood, copper, limestone, and marble. 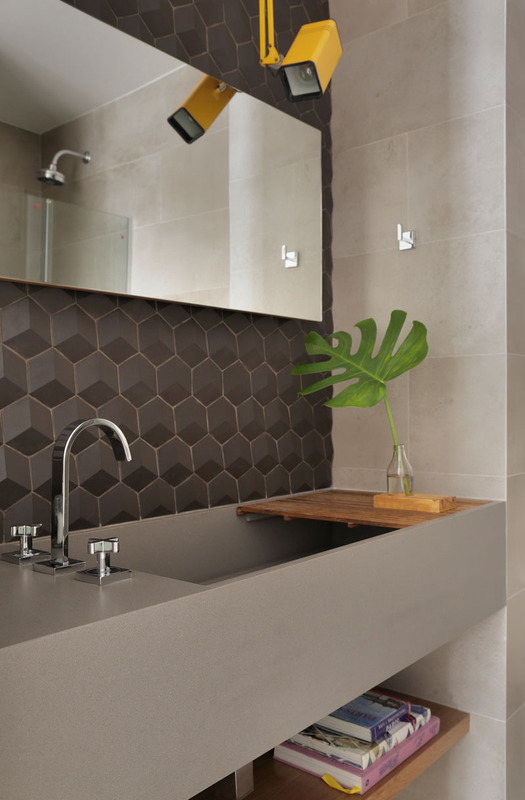 A touch of exposed steel brings an industrial and sophisticated aura in the home. 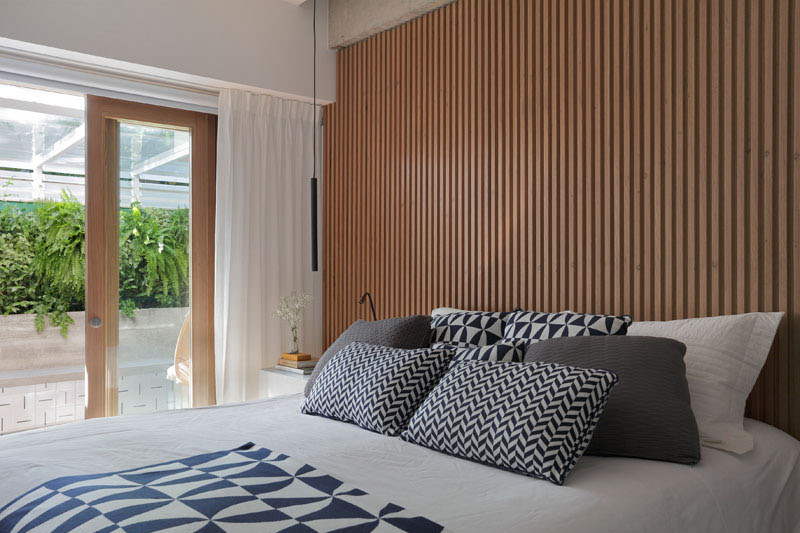 In the master bedroom, a wood slat wall acts as an accent wall and it complements the wood frame on the sliding glass door that opens up to the outdoor space with the hanging chair. 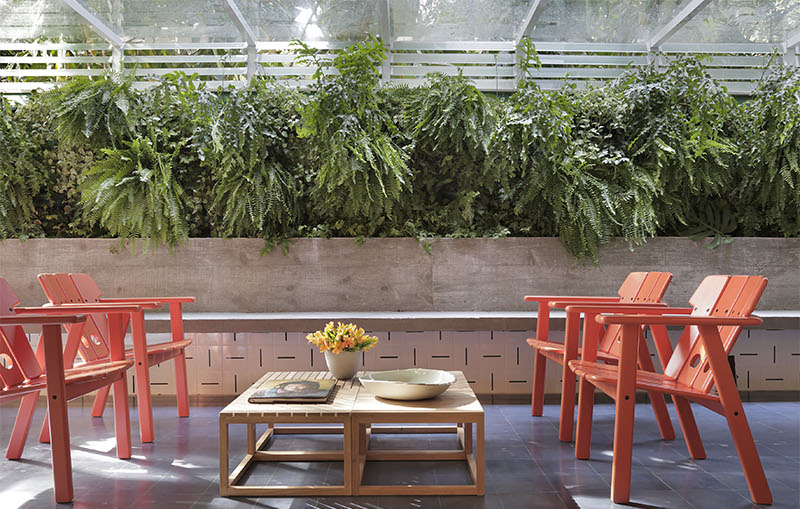 The outdoor space is separated into two areas, with wood louver screens that can be pushed aside to open the space up or closed when privacy is required. 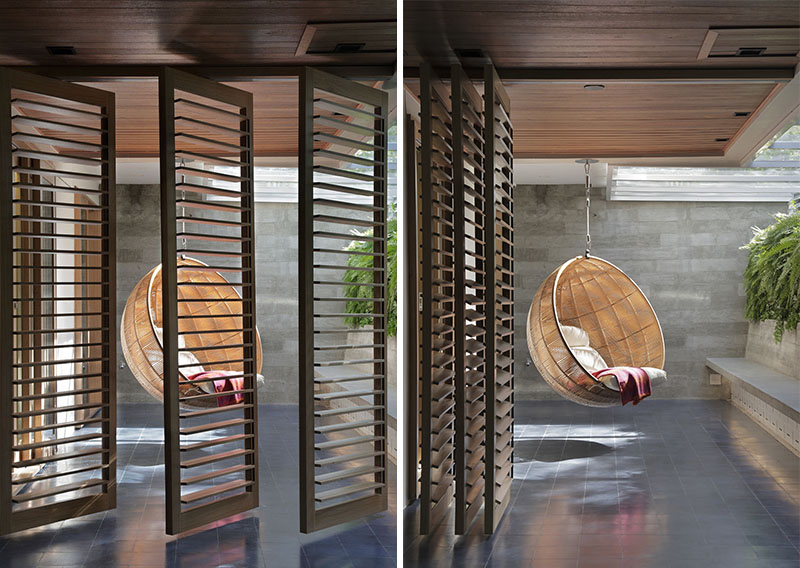 The hanging chair is located off the master bedroom. 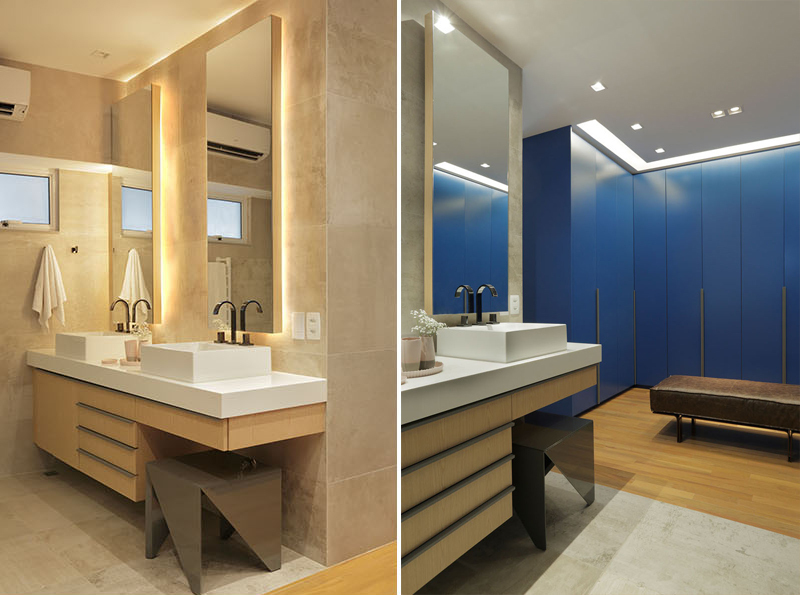 PBK Arquitetura is behind this project which incorporated a Brazilian style in it. Because of that, a beautiful interior was achieved especially that some modern features were also added to it. 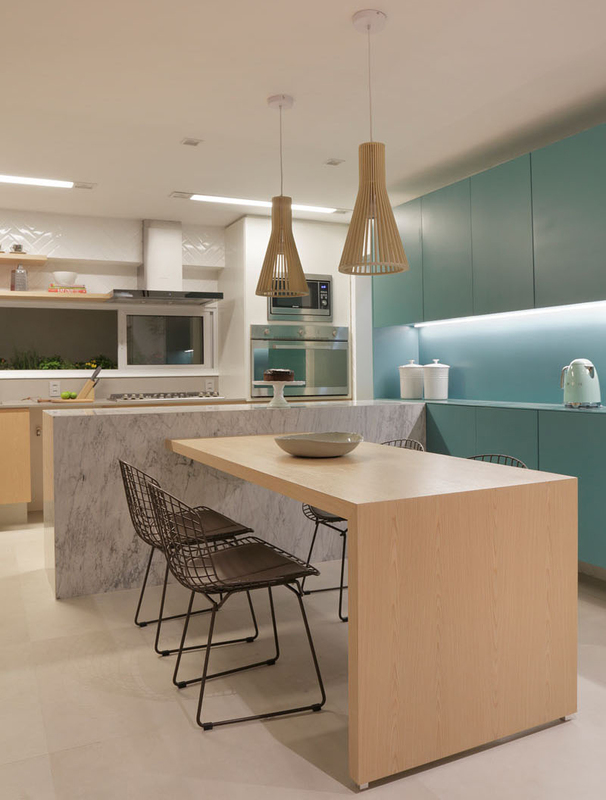 The layout of the apartment is also well-designed which greatly contributes to the appeal of the home. 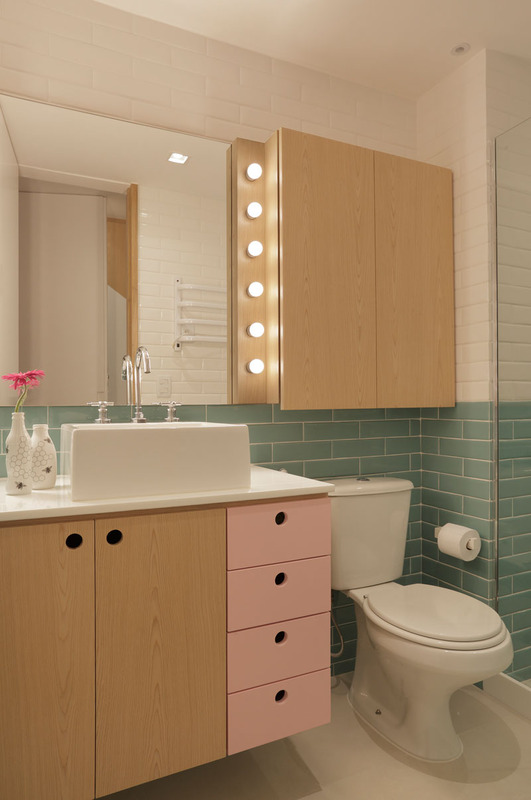 The multiple bathrooms in the apartment are one thing that makes this space unique. 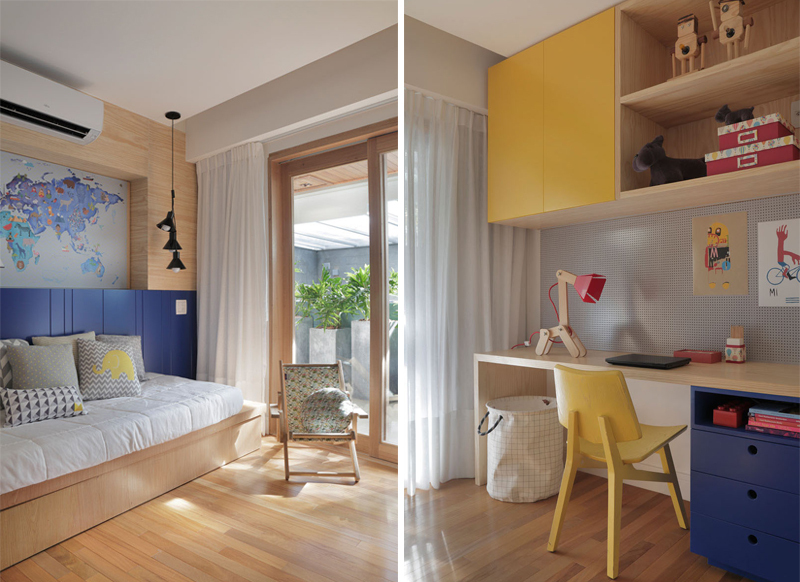 How about you, what features of this apartment do you like the most?